We would love for you to join us at our Easter services. St Francis United Church has been multi-denominational since its inception, sponsored by the Anglican and Methodist churches. As such our facilities are available to both members and others who wish to use the church for special occasions. Regular services are held every Sunday morning, with an evening service every second Sunday of the month. We have an active Sunday school for children during the morning service, and a Youth group for teenagers on Friday nights. St Francis United Church is also available for weddings, funerals and memorial services. Please pray for Margie and Lew as they prepare for the Easter services. Please see the pew leaflet insert for prayer guidelines. Management member for prayer – Jenny Dale. We welcome visitors worshipping with us today. If you are new in the area, please ask for a welcome pack. Next Sunday’s Easter services are at 06h30 at Granny’s Pool, and at 09h00 at the church. The evening worship tonight at 18h00 will continue with the theme of “Boundless Compassion”. Men’s Breakfast: Neil Veitch, author of a number of historical books, will be giving a talk on “The Duke of Wellington” on Tuesday 16th Contact John Boonzaier (082 907 5699). There will be an Open Day at Sea Vista Primary School on Thursday 18th April, 10h30-11h30, and tea & coffee will be on sale. Contact Dot Ker-Fox (082 417 3806). 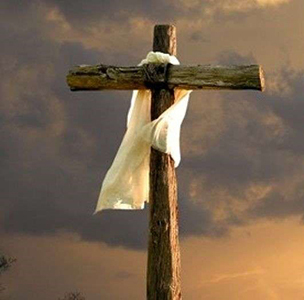 Easter Services: If you are able to assist with the Easter services, please add your name to the list in the foyer.